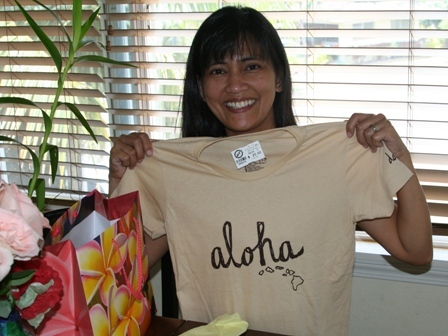 Aloha dear visitors from the Ultimate Blog Party! Welcome to this blog. Please feel free to look around and learn about our Maui living from this blog . About Me and About the Blog can be found by clicking the about buttons or above. I apologize the “subscription by e-mail” is broken – thankfully the RSS feed subscription is working. My dear bloggy friend Elle is in the process of finding ways to fix the e-mail subscription problem, in the meantime, please bookmark or add me on your blogroll. I thought this was about the FBI Blog site when I first saw the headline. I had had had to comment on this blog when I saw the reason the blog is written! 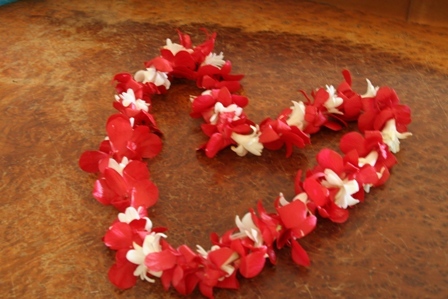 I LOVE LOVE LOVE Maui – I was married on the Old Lahania Luau grounds! My husband and I will forever LOVE Maui – though we have a battle going at the moment as to which island is better Maui or Kauai – I say Maui and he say Kauai! Maybe someday soon I will get to go back to Maui! Great blog! Carissa’s last blog post..Welcome to the Party…. Hi Liza! Stopping in to say hello for the party!!! Awesome! I WANT to go to Hawaii soo soo bad! I’ll be back to plan my pretend vacation with all of your links. Great blog. I love Maui. I visited when I was a senior in high school (OMG 14 years ago). Aloha! Thanks for visiting my party! Cute blog. Margarita Mama’s last blog post..Happy Spring!!! I’ll be visiting Maui in a few months on my honeymoon – I’m excited to read your blog and get a peek of what I’ll get to see there. Wish I were there right now. Party on! Also following you now on Twitter and faving you on Technorati. I am just checking out some of the blogs on the UBP and found yours! It looks great and makes me want to go home! I am born and raised in Honolulu now living on the “mainland”…hoping to make a trip home to visit this summer. Aloha! Shop with Me Mama’s last blog post..2009 Ultimate Blog Party! Let me introduce myself! Have a wonderful 2nd Party Day !! Hello I saw your name over at Debra’s/The Bunnies Bugalow, she is a doll, I visit her often…. I like your header! and I’m sure its horrible to live in hawaii in the winter months! where did you live before 94? april’s last blog post..Lets Get This Party Started! Hi! It’s very nice to meet you! I was in Maui a long time ago but will never forget it’s beauty. You’re lucky to live there. Someday I hope to get back…it smells so good. Hi nice to meet you! Love the lei! Hope you are having fun at the party. I would also like to invite you to link to Show off your Blog Saturday! I would love to read your favorite post! Living in Maui, how wonderful that is I bet. I live in Ohio and love it. I am a new blogger and loving the blog party. It has been so much fun. I have found wonderful blogs filled with giveaways, coupons, household hints, recipes galore, and lots and lots of nice people. Thanks for inviting us to stop by for a few minutes. Have Fun!! Aloha! I’m party-hopping, it’s nice to meet you. You make me miss Hawaii, my fave vacation spot! Nice to meet you! I haven’t been to Maui, but I love Kauai and the Big Island. Jenny’s last blog post..Ultimate Blog Party is Underway! I just stopped by, blog hopping as part of UBP 2009. It is very nice to meet you. I have a blog at http://www.superfunmama.blogspot.com; It’s a toddler learning blog. I’d love to have you for a visit! I am loving UBP! Have a magical day. Aloha! Checking out the different UBP blogs thourghout the blogosphere! East Coast Wahine’s last blog post..It’s Finally Spring! Hi! Great Blog! It has been a great few days getting to know everyone. I hope to see you around! Happy UBP!! JamericanSpice’s last blog post..Come party with us! Fun! Love this party! Great blog having a blast visiting you even though I have visited before, lol…swing by the IE Mommy and check out my UBP post. I love your site, and absolutely LOVE your island. i have been there twice, and would stay there if my family would join me! Aloha! And please visit my site when you get a chance! Lisa’s last blog post..The Ultimate Blog Party! I love your beautiful header design! Hopped over from UBP, will stop in as often as I can! If I can’t visit Hawaii in person, I can visit a Hawaiian blog!